When we observe the character and the consciousness of the late Dr. Miriam Makeba, we come to discover one immutable fact; that no matter where she was in the world, the connection to her home in South Africa remained a constant feature throughout her life. The rural setting had always appealed to Dr. Miriam Makeba, because of its aesthetic and spiritual energy produced, so we shouldn’t be surprised that she lived in Dalaba Guinea for a dozen years. A beautiful setting that is equal parts serene, breathtaking in beauty and inspiring to the senses. The Dalaba property was presented to her on behalf of the Guinean People by the late President Ahmed Sékou Touré. A powerful gesture for whose significance was never lost and totally embraced by the late Dr. Miriam Makeba. The town is also known for its local strawberries. The town of Dalaba is the highest (in altitude) town in Guinea. It is approximately 200 km by air from the capital Conakry and about 280 km, estimated 300 km by road. The inhabitants of Dalaba are mostly Fula (French: Peul; Fula: Fulɓe). A hectic schedule that placed demands on Dr Miriam Makeba’s time combined with the nurtured appreciation and refinement of the gift of voice provided confirmation that the messages within the songs that she sang stirred from deep within her soul. Consequently, these intrinsic features connected with audiences globally and especially on the African continent. All of these components arose from within the temperament of Dr Miriam Makeba, and these elements subsequently contributed to the understanding that where one lived and called “home”, allowed her performances and lyrics to remain authentic and resonate with a mass appeal. Dalaba, Guinea consistently produced this blend of emotions, reassuring sentiment and rooting in the life of Dr Miriam Makeba. Hence, the Guinean government affirmed her honorary citizenship by naming a street in memory of her, presently, “Avenue Myriam Makeba” features as a major thoroughfare in the picturesque town of Dalaba. The Miriam Makeba Estate along with Mr. Antonio Souaré from Guinea, (for whom was entrusted by both Dr. Miriam Makeba and the Family as custodian to the residence and further overseeing the renovations and maintenance to the property), are in continuing official engagement with the République de Guinée, to convert the Miriam Makeba residence into a Museum, under the auspices of the Miriam Makeba Estate in conjunction with the South African Consulate in the République de Guinée; symbolizing the connection between the two countries, established decades ago in fraternal allegiance of shared values and visions of continental aspirations and the heritage represented by the late Dr Miriam Makeba’s decision to call this enclave her home for many years. The Miriam Makeba “Dalaba” Village is the brainchild of Miriam Makeba, inspired by “Dalaba” in Guinea, West Africa, where she lived for many years during exile. Her desire was to build the Village on her plot located on 489 Boundary Road, North Riding, Gauteng, South Africa; where she lived for many years after returning from exile. In April 2008, she signed the first architect plans for the Dr. Miriam Makeba “Dalaba” Village TM; with the hopes of beginning the construction later in the year of 2008 or early 2009. Unfortunately, she left us before she could realize her dream. Archives - Miriam Makeba Foundation - original architect plans approved by Dr. Miriam Makeba herself dated April 2008 (7 months before her passing) for the construction of the Dr. Miriam Makeba “Dalaba” Village. After her passing in 2008, by the beginning of 2009 we rekindled reviewing the plans signed by Dr. Mama Makeba and took the necessary measures to ensure that the architectural plans are finalized with the intention of realizing Mama Africa’s vision and dream. 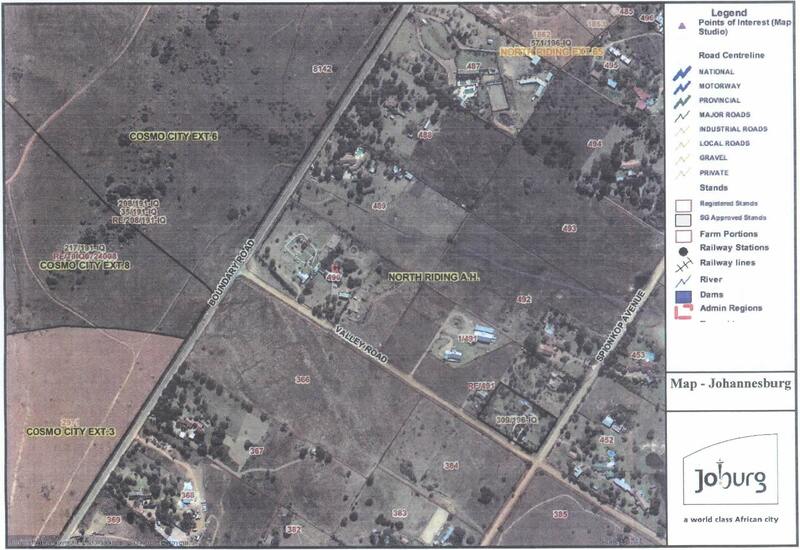 See enclosed map- Up-dated architect plans for the construction of the Dr. Miriam Makeba “Dalaba” Village, including the villa plan, office plan and a list of schedule areas within the Dr. Miriam Makeba Village “Dalaba”. 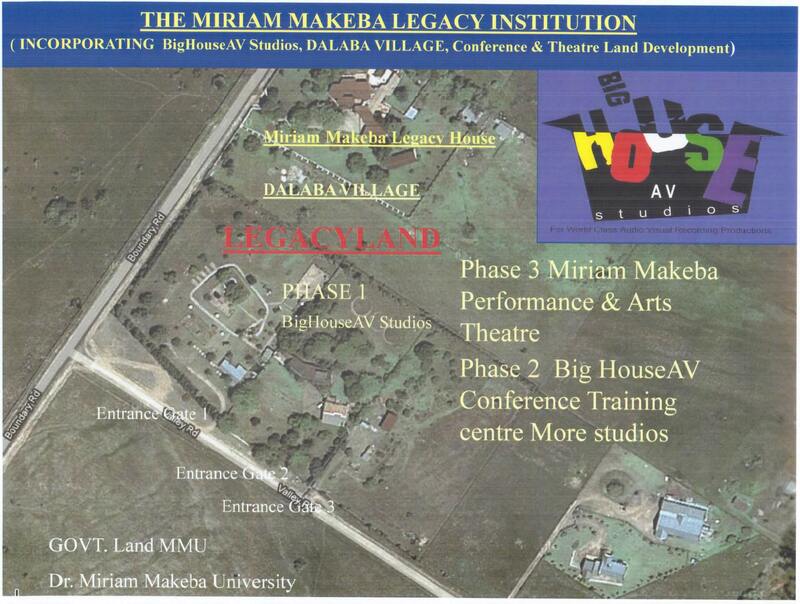 The Dr. Miriam Makeba “Dalaba” Village will comprise of a cultural centre, training centre, music, literature & arts academy, mobile museum, library, The Miriam Makeba Amphitheatre (for various musical performances and film screenings), Mama Africa Restaurant (with “Mama Makeba’s famous pepper recipe”), recording studios and lodges etc. To organize mini concerts, to expose young artists to Africa and the world. To provide holistic assistance to budding and talented musicians. To promote African Haute Couture in Africa and the rest of the world. Creation of African cultural and cuisine exchange. African cuisine week at Miriam Makeba “Dalaba” Village: African Chefs showcase what is best in South, North, West and East Africa cuisine. African handmade Women’s art crafts exchange Nationally and Internationally. To provide African quality hospitality. Radio – Voice Of Mama Africa – A platform for all women of South Africa, the continent of Africa, the Diaspora and the World to express their ideas, voice out their visions and aspirations, debate their concerns and find solutions with the hope of empowering all women and making the world a better place for all people. Realization of a Centre with various qualified formation skills, e.g. Training for Commercial Clerk or Office Accounting Clerk. Training for cooking and food catering. To train candidates to maintaining a house; Meal Preparation/s, ironing; managing a budget, purchases, shopping, babysitting, etc. Realization of a Centre of professional insertion, e.g. Elaboration and realization of programs, in collaboration with UNISA and other Universities Nationally and Internationally. Architect plans for existing plans and renovations plans for the Makeba Centre For Girls. 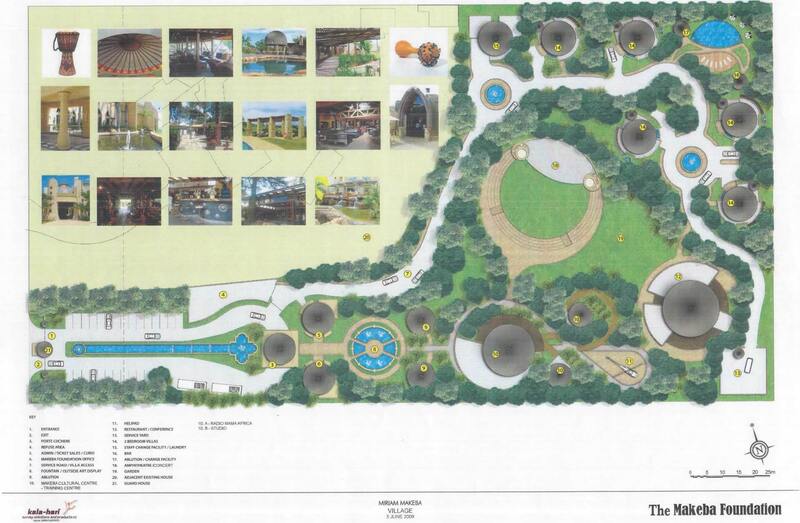 We also intend to construct additional new buildings, which will accommodate for 60 girls at the current Makeba Centre For Girls in Midrand, Gauteng which currently only allows for 25 to 30 girls at the most. The challenge the Centre faces requires the need to generate support, financial or otherwise, which is inherent for the realization and sustainability of the Centre.